Created in 1994, the activity of the Filamentation-Laser Matter Interaction group (F-ILM) has been devoted to the nonlinear propagation of intense femtosecond laser pulses in transparent media (gaz, liquids and solids), and in particular to the phenomenon of laser filamentation. It has developed a broad expertise in the study of plasma filaments, Kerr effect, long range propagation of fs laser pulses, secondary radiation produced by filaments (conical white light emission, THz emission, acoustic wave generation, UV lasing emission from filaments in gases) and applications of the filaments such as pulse compression or control of electric discharge. Left: Photography of a plasma filament generated in air by a fs laser pulse at 1 µm. Right: Filamentation at 1.5 µm in fused silica. A specificity of the ILM group at LOA is the development of transportable TW femtosecond laser systems in collaboration with laser companies. The Teramobile laser from Thales was the first one in 2000, then came the ENSTAmobile from Amplitude Technologies in 2008 and the next generation is currently developed with the German company Trumpf scientific lasers in the frame of a FET OPEN project. These unique systems have allowed ILM to perform outdoor experiments (2013), test campaigns with Megavolts facilities in Toulouse (2014), and with high current SNCF facility in Vitry (2006), lightning control experiments in Singapore (2011), underwater acoustics in Marseille (2010) and supersonic flow control in ONERA Meudon (2017). 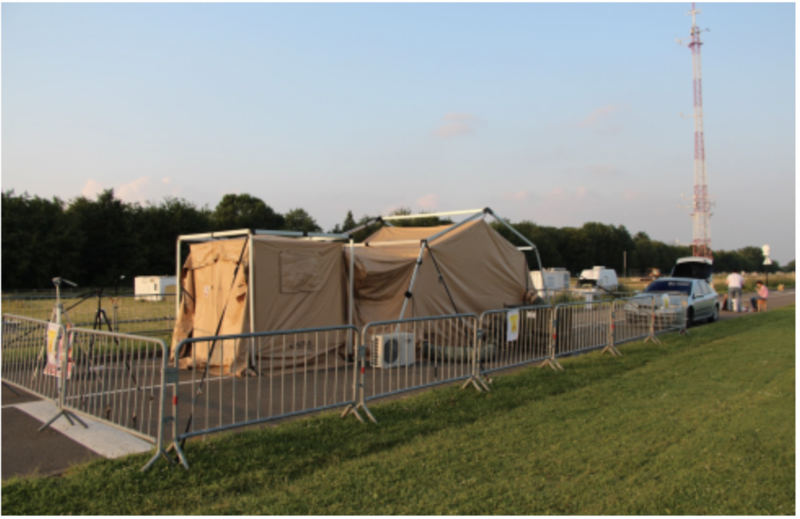 Photography of a long range outdoor filamentation experiment performed in 2013 on the Ecole Polytechnique campus. The activities of the ILM group are mainly devoted to experimental physics, covering every aspects of the nonlinear propagation of ultrashort lasers from the understanding of fundamental phenomena such as the lasing effect of Nitrogen inside filaments (PRL2016, PRL2017) to the demonstration of new concepts of applications based on laser filaments (remote underwater sonar, plasma antenna, aeronautic laser spike..). 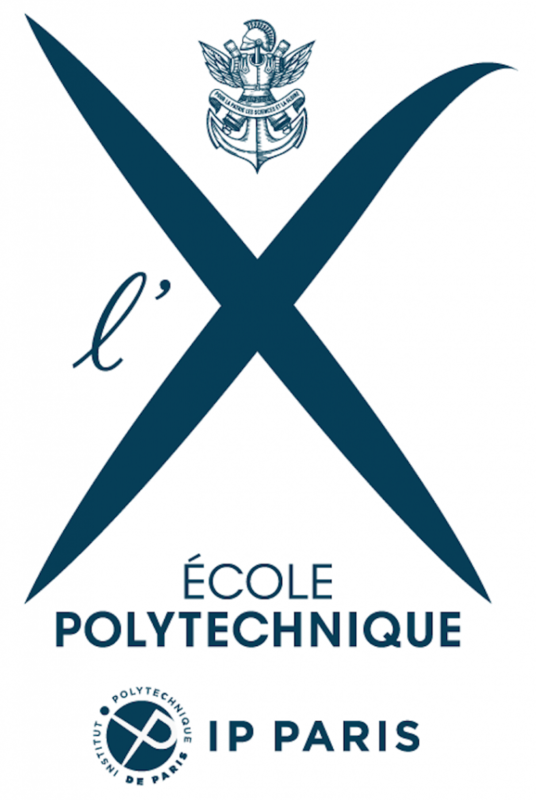 To understand the results, theoretical models are developed in collaboration with specialists in nonlinear propagation and fluid physics (A. Couairon, CPHT), laser matter-interaction (V. Tickhonchuk CELIA), lasing mechanisms (E. Oliva) or aerodynamics and plasmas (PQ Elias, ONERA). During the period 2013-2018, the group has published 53 peer reviewed articles (including 6 Phys. Rev. Lett., 8 Phys. Rev. and 5 Applied Physics Letters) et 4 book chapters. They presented 41 invited talks (2 plenary), 25 oral presentations and 20 posters in international conferences. There have been 3 scientific awards, 4 Ph.D. defenses, two habilitation defenses and 2 Patents. Since the first observation of filamentation in air in 1995, the community of scientists studying filamentation has been growing continuously following the availability of amplified femtosecond lasers. About 40 groups are now active in the subject. A cavity-free laser in the sky could lead to revolutionary improvements in optical remote sensing for atmospheric science. Abundant in air, nitrogen molecules are prime candidates as an active medium for such a laser. Nitrogen molecules, when pumped by an intense femtosecond laser, exhibit an important optical gain in the near UV regime. We reported intense forward emission around 391 or 428 nm with energy up to several microjoules was observed during filamentation of femtosecond laser pulses at 800 nm wavelength in atmosphere. Despite numerous works, the physical origin of this lasing is still not understood and subject to controversies. We recently proposed a consistent interpretation of all experimental facts by introducing a concept of lasing without inversion. Efforts were also made to try to obtain backward lasing emission from excited Nitrogen molecules from the filament. This research topic has been initiated by Yi LIU and André Mysyrowicz and is now the subject of a joint PhD between LOA and the group of Yi LIU in Shanghai. This topic has been the subject of multiple collaborations with the group of A. L’Huillier and C. Arnold in Lund, with the PCO and UPX groups in LOA, with a group in Beijing and with Vladimir Tikhonchuk in CELIA, Eduardo Oliva in Madrid and Shihua Chen in China for the theoretical part. When a vehicle moves in atmosphere with a supersonic velocity, a shock wave is generated, leading to a considerable increase its drag and to its consumption of fuel. Several authors had suggested that depositing laser energy in the form of a long plasma column could decrease the drag by reducing the pressure at the nose of the object. Femtosecond filamentation appeared to be the best candidate to produce this plasma, since we showed evidence of a superfilamentation regime, in which energy deposition exceeding mJ/cm can be achieved. 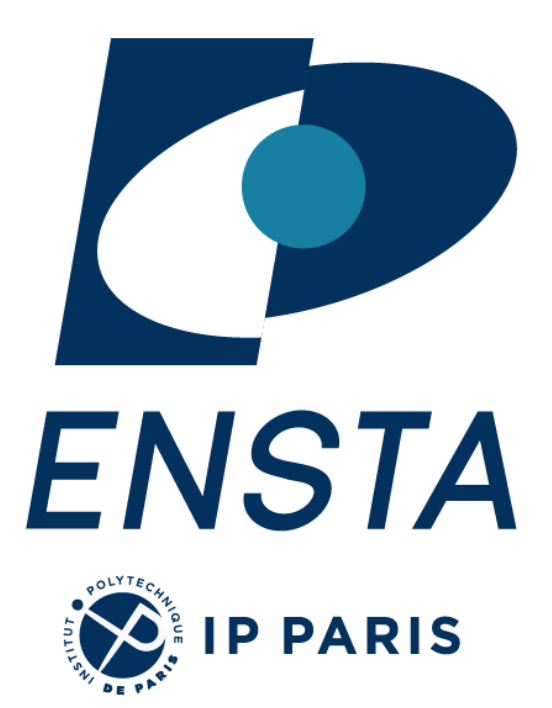 An ANR Astrid funding has been obtained in 2016 to perform tests in the supersonic wind tunnel of ONERA Meudon with the ENSTAmobile laser, in collaboration with the company Phasics. This experiment was very successful since we demonstrated a transient reduction of the drag of a supersonic vehicle by 50 % in the presence of the filament. The next step will now consist in increasing the repetition rate of the laser to obtain a permanent effect on the drag and to test the ability of this laser spike to control the trajectory of the vehicle. Left: Still photography of the filament produced in front of the blunt body. Right: Schlieren image showing the perturbation of the shockwave by the filament in the presence of the Mach3 airflow. The development of laser-induced acoustic sources in water could open up new possibilities for sonar, underwater communications, high resolution imaging, tomography and fast characterization of marine environment. Since 2010, in collaboration with the Laboratoire de Mécanique et d’Acoustique in Marseille (LMA) and the DGA center for naval technologies in Toulon, we have been investigating laser-induced energy deposition and acoustic waves generation in water with ultrashort laser pulses. We have demonstrated that directive (in a plan) and broadband acoustic waves could be generated by femtosecond and picosecond filaments in water. Numerical modelization of the phenomena by the group of A. Couairon at CPHT allowed us to show that the different acoustic shapes observed in femtosecond and picosecond regime were related to a mechanism of superfilamentation. More recently we demonstrated that the amplitude of the pressure wave generated by the plasma increases continuously with the laser pulse duration, especially in the sub-MHz frequency domain. This process is very different from the one observed by other groups in solids, where an optimum appears in the picosecond range. With the help of Leonid Arantchouk, expert in high voltage electric systems, a large number of experiments have been made using femtosecond TW filamentation to control electric discharges. In 2013, we demonstrated that filament could be used to trigger high current sparks with an unprecedented low jitter [Link]. This effect has been used in 2014 to build a multi-stage Marx generator triggered in atmospheric air by a single filament [link]. Voltage pulses of 180 kV could be produced by this generator with a sub-nanosecond jitter. In the frame of a DGA project aiming at developing a virtual plasma antenna for RF emission, a double discharge electric system including a 250 kV Tesla coil has been built at LOA. This system allowed us to increase the lifetime of the laser induced antenna by several orders of magnitude [[link]. In parallel, in collaboration with Airbus Company who shows a strong interest in lightning protection with lasers (see Patent in 2013), we demonstrated during a campaign on the campus that it is possible to trigger electric discharges between charged electrodes at distances reaching 500 m by sending a multi-terawatt laser pulse. In the center for aeronautic test of Toulouse (DGATA), we demonstrated the guiding of a 4 meter long electric discharge with filament. This result proved that the guiding effect by filament was not limited to 2 m by the short plasma lifetime, as suggested by previous work from the teramobile group. Finally, using a kHz, 200 mJ laser of Trumpf scientific, we demonstrated that the breakdown voltage could be decrease by a factor 3 using a kHz laser with respect to a 10 Hz laser [Link]. These results motivated us to apply for a FET OPEN grant in 2016 to develop a high-power high repetition ultrashort laser for lightning control. Started in 2017, the goal of the Laser Lightning Rod (LLR) project is to investigate and develop a new type of lightning protection based on the use of upward lightning discharges initiated through a high-repetition-rate multi-terawatt laser. The project is a collaboration between LOA-ILM, J.-P. Wolf at Université de Genève, F. Rachidi at EPFL, M. Rubinstein at HES-SO, as well as laser company Trumpf Scientific Lasers, and aerospatial company Ariane group. The feasibility of the novel technique is also based on cutting-edge high-power laser technology and on the availability of the Säntis lightning measurement station in Northeastern Switzerland, located at an altitude of 2 500 meter. A low-density channel created by the 1 J, 1 kHz, 700 fs laser will operate by promoting the initiation of upward discharges to preemptively transfer cloud charges to the ground.